The French revolution instigated a 25-year storm that swept up all Europe and whose winds reached to the far corners of the earth. In the middle of the hurricane gusts and squalls came a lull. The Treaty of Amiens between Britain the last protagonist of the revolutionary wars, and Napoleon Bonaparte the leader of France's new government, was a time of peace both for temporary restoration and for the consolidation of a new order. However like the eye of a hurricane, it was only a temporary respite before the winds renewed with a ferocity even greater than before. Is this a correct analogy? There are a number of possibilities to be floated: Was the pacification of Europe consummated by the Treaty of Amiens truly an interlude in one endless struggle (was the whole war just one episode in the contest for Europe and the world? ), or should another interpretation be used? Perhaps Amiens was more correctly a gap between a Revolutionary storm that finally blew itself out before a Napoleonic storm gathered itself? Or was the peace itself illusionary and representing simply a new phase; either a shift from hot to cold war or alternatively an experiment in appeasement after both sides had been worn down by confrontation? Why was there a will for peace at this time? How did the peace come about? Britain initially resisted the temptation to become embroiled in reactionary wars against the French revolution. In fact there was a strong liberal voice centered upon Fox that actually welcomed and admired the ideals of Liberty Fraternity and Equality. However once this hesitancy was overcome the results were predictable: a familiar pattern of continental frustration counterbalanced by a series of naval and colonial successes. The expected, hoped for, and most probable outcome to such a war would be a limited coalition success in restraining French continental ambitions (with Britain's contribution being mainly monetary), while to balance the ledger the spoils falling to Britain would be the acquisition of the French overseas territories. However, when on the 9th of November 1799 (18 Brumaire) General Napoleon Bonaparte overthrew the Directory and assumed leadership of the French nation, things took such a disastrous turn that it became necessary to contemplate another version of peace: that which is dictated following a humiliating defeat. Napoleon's victory at Marengo June 1800 followed by Moreau's at Hohenlinden in December 1800 forced Austria into a separate peace, something specifically prohibited by the Austrian alliance with Britain. Thus the conclusion of the Treaty of Luneville signed in February 1801 brought about an ignominious end to the 2nd coalition against the French Revolution. Impressed by the exploits and eastern temptations offered by General, now First Consul Bonaparte, Tsar Paul inclined towards France. Along with Sweden, Denmark, and Prussia; Russia formed the Baltic League of Armed neutrality to resist Britain's efforts to enforce the blockade of France through the exercise of a right to search neutral shipping. This had added seriousness because of Britain's reliance on the Baltic ports for imports of grain, naval stores and for export markets. Britain was almost completely alone without an ally to be found across Europe save at the very extremities where weak Portugal and sick Turkey were still obliged to hang on to Britain's skirt-tails. With Denmark and Prussia occupying Hanover (King George's only continental possession), and both sides seizing each other's shipping, there was a real threat that the league would move further towards forming an alliance with France. The combined fleets could achieve naval superiority and the undistracted revolutionary armies could cross the channel to impose a Jacobin reign of terror. To reinforce the threat of invasion the French went through the motions of preparing an invasion flotilla. The threat was taken so seriously that in July, on his triumphant return from the Baltic (see below), Britain appointed her hero Nelson to command the sundry craft appointed to guard the channel. Faced with the awful prospect of defeat, straight after taking office, Britain's new Prime Minister Addington attempted to open peace negotiations with First Consul Bonaparte. However with the prospect of victory so near, the French understandably strung him along and Addington was forced to continue the war effort. Fortunately the first half of 1801 was bringing about a string of unmitigated successes that broke Napoleon's strangle hold on Britain. By stroke of good fortune with perhaps a (some have suggested there is a hint of complicity on Britain's part), Tsar Paul was assassinated on March 21st. The new Tsar Alexander was no admirer of Napoleon and the promised Franco-Russian prosperity where they would settle the fate of northern Europe and the near east together, now evaporated like a mirage. Nine days later Nelson destroyed the Danish fleet in Copenhagen ending any potential for a combined fleet to threaten British naval superiority. In April on the 19th an expeditionary force under General Abercromby took Alexandria from Merou thus posing a fatal threat to the French presence in Egypt. Against these blows the threatening coalition proved a house of cards after all. On May 16th Russia raised the her grain embargo, soon after Prussia and Denmark withdrew from Hanover, and in June a Russian-British convention was signed affirming Britain's right to search and seizure. So the awful threat was over, the ship had passed through the storm, and in the lull there was opportunity and breathing space to prepare a new impetus. But was direction would that take? Would it be for victory or for peace? Britain was war weary. Despite the pretension towards old style landed aristocracy, Britain was already a land of professional farming, commerce and trade. Before the war Pitt had fabulously restored the government finances (1791 revenues were £19 ½ m with £1m surplus for debt repayment) and the initial phases of the war had served only to further enrich the national finances and the commercial classes, but the cost of the war had begun to bite. Taxes were rising while the national debt had more than doubled to over £500m. In the days before free trade, access to overseas markets often necessitated owning them as colonies first (for instance Britain had always been prevented from trading with the Spanish colonies in South America). Certainly the successes of the war had opened up new trading opportunities for Britain (for example the capture of the sugar rich Island of Trinidad), but without access to Europe who was she to sell this sugar to? The ending of the grain embargo came none too soon. 1801 was the 6th bad harvest in a row. The price of wheat had at least tripled since the beginning of the war and without Baltic grain imports there were food riots in poorer areas. This economic reaction amongst the masses was feared to be the harbinger of Jacobinism, revolution and terror just as it had seemed to be in France. Contemporaries were not to know that Britain was already in the grips of revolution. The industrial and agricultural revolutions were transforming British society. These depravations had fallen mostly upon those who had newly moved off the land, either into the factories of the north or into itinerant agricultural labouring. Such sections of the population were already the most vulnerable but despite the sympathies and or the fears their plight raised, they were not really a factor in British policy making. to depend on making peace." A stronger government might have been able to turn the nation back towards war, but Addington and his ministry did not have the power or the will. There were those who maintained the war should be continued but how could they convince the nation to carry on the fight? This was an age where war was truly an extension of policy by other means and the concept of total war had been banished since the devastation of the Thirty Years War. The war had been against the revolution but the revolution had been stilled and deradicalised by Napoleon. France had enjoyed stable government for nearly two years by the time the preliminary treaty was signed. It may have been a militant government of the kind abhorred in liberal England, but what did England care of the internal problems of an ancient rival? What is more, Bonaparte had succeeded in pacifying the rest of Europe and everyone was under his sway. If Europe could not fight for its own rights, what purpose could Britain serve by continuing the struggle alone. Bonaparte had presented Britain with a fait accompli in Europe. The war was over, Britain had obtained a victory of sorts. The great threat had been defeated, Britain had fought for her prosperity, and of those that had fought she alone she had lost nothing. There were even some tangible gains with which to bargain a favourable peace. A final naval victory was secured by Saumarez on the 12th of July to satisfy the people's claim to victory and so the nation was ready for peace. Addington pushed on with the feelers for peace that had been first couched with ominous portents in the early dark days of the year. British arms had by and large been successful and France's colonies had been taken. It was a good basis for a settlement. It so happened that France too was ready for peace. In the chaos of revolution there are those individuals who sink and those that swim. The talents needed to prosper during the French revolution were audacity, blinding ambition, ruthless opportunism and most of all the devil's own luck. No one possessed these qualities in such abundance as General Napoleon Bonaparte. Thus in the fullness of time supreme power came into his hands, and in his own words he was able to "end the revolution". But in ending the turmoil that had made his very ascendancy possible, Napoleon was presented with a dilemma. These talents to which he owed his dominion would not have served him well in Bourbon France, and did not lend themselves naturally to stability. Now that he had attained surely all a man could dream of, could he turn these talents towards building stability? Could a man so attuned to upheaval also work out a settlement and sustain peace? Few historical figures had ever faced such a quandary - Cromwell perhaps had succeeded in turning war to peace, Genghis Khan had not! If you like, was Napoleon to be a power for good or evil? Ultimately the answer of course was both. Napoleon was able to restore France and many would consider his civil accomplishments greater than his military. However, neither could he deny his nature. The adventurer was still present. At the same time as he was seeking to settle France he was also looking for further opportunities. At this stage in his career Napoleon was very much oriented towards the Mediterranean and the sea generally. He was born in the Mediterranean and his triumphs had come in Italy and Egypt while he had not yet even campaigned in Germany. Egypt, Turkey, India and far-flung colonies were still very much in his mind. In October 1800 via the Second Treaty of San Ildefonso (by which Spain had been used to bludgeon Portugal out of her alliance with Britain - see below), France had also acquired Louisiana. This was in confirmation of the secret agreement of the first treaty signed in 1796 by the Directory and it was again affirmed on the 21st of March 1801 in the secret Treaty of Madrid. Unfortunately any further progress in exploiting this potential was thwarted by Britain's command of the sea. Even the successful pacification of Italy was difficult while the Royal Navy sailed all up and down both coasts of the boot and closed the Straits of Messina cutting off Sicily and closing the Mediterranean. If this were not enough it was plain that Britain was the mainstay of the 2nd Coalition and while she remained a lone enemy, Britain would not rest until she gathered fresh partners in the struggle against France. Therefore the opportunities that Napoleon saw to advance France and his own government were dependent on ending the ruinous conflict with Britain. Surely if Addington had been Prime Minister after Battle of the Nile had cut-off the French army in Egypt, General Bonaparte would have welcomed peace then. Unfortunately for the French the wheels put in motion by Pitt, that would eventually end their presence in Egypt, were too far advanced before Addington's tentative approach arrived. Therefore Napoleon had foreign expectations that encouraged him to seek peace. Initially and as Britain feared, he hoped to diplomatically and militarily defeat Britain and to obtain peace that way. Even once the opportunity to defeat Britain had diminished there were more pressing reasons for peace than just the opportunity cost of lost foreign opportunities. Peace was important to France and therefore to it's new ruler. For the people of France the revolution had turned out to be a roller coaster ride with sudden drops and sharp turns that certainly hadn't been counted on when the ride began. To a large measure the reason General Bonaparte's take-over of the government was so popular was that he was perceived to be strong enough to bring things back under control in peace as he had in war. Victories alone were no longer enough, what was the point of victory if it didn't bring peace? Initial progress with the pacification of the continent following the Treaty of Luneville augured well for this hope. Without England included in the general peace there was no peace. Thus Napoleons legitimacy as ruler of France was to be proved in performing the duty of the strong leader who ended the upheaval that had possessed the country for so long, and was thus dependent on his delivery of a universal peace. Just as Napoleon was an opportunist abroad so too was he at home. Indeed he was far more than an army strongman, a military usurper, or a war lord. He had plans and ambitions for his government far beyond personal aggrandizement; and while some of his reforms were begun or even justified by war expedients (e.g. suppression of freedom of the press 17th January 1800), others required peace as virtual prerequisites (e.g the Concordant with the Pope, the Civil Law Code Napoleon etc). Napoleon had inherited a bankrupt treasury, a ruined economy, a decimated bureaucracy and a crazed society where innovation existed for the sake of spurning the old. Normalcy was to be the order of the day, whether this be a return to a 7 day week and 'Monsieur' and 'Madam' from the revolutionary 'Citizen' and 10 day week; or whether it was to be new infrastructure in tax, law and education reforms. Certainly these reforms could and did continue under the Empire in a state of war, but is was during the Consulate while peace reigned that the great flowering of Napoleon's civil accomplishments was seen. It was only during peace that the energies and resources were available for peaceful constructions and these in turn laid further foundation for the legitimacy of Bonaparte's government. This legitimacy by popular assent was important above all else because France knew what ruin came from failed government. Bonaparte wanted his government to succeed and the people wanted it just as much. This is not to say that the opportunities for personal advancement were lost on him. In 1800 the Tsar had urged him to declare himself King. This probably meant that unstable Paul thought, 'if there was King on the throne of France once more', then everyone could pretend the revolution had never happened. However the possibilities were endless provided Napoleon could swing the people firmly in behind him. Peace, prosperity and reform were all part of it, but especially because peace at this time was peace with a great victory. The revolution had achieved one of the great national goals, namely the extension of France to her natural borders of the Rhine, the Alps and the Pyrenees. Even the Sun King had never achieved this goal. Peace now was a crowning achievement from which the nation's gratitude could surely be coined later in terms of a life Consulate, a hereditary Consulate and an even an Imperial Throne! So perversely, while Britain's policy was formed by a collective will finally coalescing to a singular aim for peace, France's policy was a single will settling on a collective aim. France was for all intents and purposes united behind one voice. Besides; all other voices had already been suppressed. That will saw so much opportunity beckoning and the revolving door opening up these things was to end the war with England. However ultimately time would tell that the problem was that this great voice for France had come to understand force all too well, but had not learnt to understand the meaning of consensus. There was a will for peace on both sides of the channel. However before discussing the completion and then ultimate unraveling of the peace settlement, a few modern conceptions as to the ultimate interests of the parties should be discussed. The most vocal issue in the negotiations for peace and in the subsequent deterioration of relations was to be Malta. Despite this, the Malta was controversy was more superficial than vital. Malta wasn't fundamentally important to Britain or France in any economic or strategic sense. Suffice to say that Malta became important both as a symbol and a surety should events turn sour. By way of surety, for Britain Malta meant a secure base in the Mediterranean but more importantly the denial of such a base to France from which she could secure her communications on that sea. For France Malta meant that Britain did not have a secure base in the Mediterranean to serve as a dagger in her side. Malta also was an important symbol because of the international complications associated with its possession, meaning the Tsar's had an interest as the titular head of Malta's former possessors the Knights of St John. What Britain was centrally concerned with was commerce and this translated firstly into shipping and sea power. Britain's long term security and well being depended on not surrendering dominance in this area. However if this dominance was as given, it meant Britain could afford to negotiate and concede in areas where sea power provided a guarantee of good faith. Thus Britain was prepared to give up her colonial conquests, except where there was a strategic consideration (thus although the Cape Colony was returned to the Dutch in 1803, Britain retained the right to use it because of it's importance on the route to India), simply because both she and France knew they could always be captured back again. As touched on in the previous section, reacquiring access to these sea-lanes was a strategic consideration for Napoleon. His first consideration was freedom of the Mediterranean for whatever purposes (hence Malta!) and secondly Atlantic access was necessary to exploit newly acquired Louisiana and to reacquire rebellious but so sweet sugar producing San Domingo (Haiti). Also connected to economic power was Britain's seemingly magnanimous concern for Portugal's independence and security. In reality Portugal had long been one of Britain's most important and secure trading partners and this was not to be jeopardised save at the cost of disenchanting very important interests. Holland was a similar if antipodal concern for Britain. Rather than being her most important market Holland was Britain's most important ocean going, financial and economic competitor. Thus what happens to my friends matters, but what happens to my rival really matters! It is not to be forgotten that Britain had only entered the war against revolutionary France in opposition to the opening of the Belgian Scheldt estuary and port of Antwerp to international shipping when it had previously been closed to all but the Dutch. Britain's relationship with Holland had always been somewhat dichotic, they were allies but only so long as the Dutch remained in their place. This dichotomy is explained by the other cornerstone of English foreign policy; namely the Balance of Power. Cynically we might say that Britain stood for imbalance of power outside Europe where she remained ascendant, but Balance of Power on the Continent where she was just another player. Balance of Power meant that Britain would never be without an ally on the continent as she had been in the disastrous American revolutionary wars. As France was the principle continental power this usually aligned Britain against France and it was a long-standing defensive tradition of British policy not to leave France a free hand with the Low Countries. Thus because France was the main continental power it was important not to let her become the main oceanic rival through control of Holland too. Egypt was a lever for France against Britain and as such was important to both. The prime reason for invading Egypt in the first place had been to open a back door to the Indies and much of Napoleon's credibility and reputation was vested in the Egyptian venture. For Britain this was real threat, albeit a distant one. Turkey, after the defeat of Sardinia, Naples and Portugal was Britain's last ally but there were no particular attachments to this alliance except for mutual antagonism with France. The issue of Egypt was a preview of the great game of the 19th Century where Britain and Russia wrestled via proxy for influence in the east. For Britain it was far better that Egypt remained in the shaky grip of the Ottomans than in the grasping hands of Napoleon. Lest we be too critical of Britain's self interest Napoleon was equally concerned not to surrender any area of predominance. France's traditional enemies were Britain and Austria. Napoleon was not about to surrender the annexed former Austrian Netherlands (Belgium), which served the dual purpose of disquieting Britain, and finally giving France the Rhine "natural frontier". In fact Napoleon ruled an ascendant France and could hardly be expected to turn back the clock on this! It was presumed that this was encapsulated in the provisions of the Treaty of Luneville. However this was not necessarily the case as will be seen. Finally there are minor interests and provocative claims. Ideology was not important in the scheme of things but if it did have a place it was in Britain. In France the ideologies of the revolution had wrecked havoc and there was now only space for one voice and he above all a pragmatist. In Britain there were pro and anti Bonapartists, pro and anti revolutionists, the progressive anti slave-tradists and trade interests. The French historian Sorell has argued that Pitt deliberately allowed a peace treaty without a trade agreement in order to predetermine a future war. This thinking is in error on two counts. Firstly it takes Napoleon's "nation of shopkeepers too far", and secondly it implies the presence of a puppeteer behind the scenes. Britain was politically advanced enough that in French terms, no "estate" could monopolise the nation's ambitions nor could any individual formally wield enough power to act conclusively. Pitt had at least thrice broached the possibility of peace with France, firstly in 1795, then 1796-7 with the negotiations in Lille and again in 1800 in conjunction with the Marengo armistice with Austria. The last attempt had floundered because of the strength of the French position at that time and because Napoleon had demanded a naval armistice as a prelude to negotiations. Since that would primarily have served to restore Napoleon's connection with his army in Egypt, and no compromise could be reached, progress was still born. The path to peace truly commenced with the formation of the Addington government on the 8th of February 1801. The former Speaker of the Commons, Dr Addington, was regarded as a colourless mediocrity and creation of Pitt. Therefore the expectations for his government were not great. Immediately upon becoming Prime Minister Addington announced that his intention was to make peace. Thus he immediately strengthened his domestic standing by marking his administration as a clear breach with the war ministry of Pitt, and simultaneously weakened his diplomatic leverage with Napoleon by committing himself to a course of action without any reciprocation on the part of France. The man who was charged with carrying out this peace policy was Addington's new Foreign Secretary, the thirty year old Lord Hawkesbury. Unlike the retired career diplomat Malmesbury whom Pitt had employed in negotiating with the French, Hawkesbury had no diplomatic or foreign experience to speak of. However he did have an inclination towards Foreign Affairs because his maiden speak in the House of Commons in 1792 had included a commentary of the state and future of relations with France. Although a state of war existed between the two countries, there resided in London one Monsieur Otto, the French Commissioner for the exchange of prisoners of war. M.Otto was much more than this and was every way Napoleon's agent in Britain, although his directions may equally have been coming from Talleyrand the French Foreign Minister. Already by the 21st of February Hawkesbury had begun discussions on the preliminaries for peace with M. Otto. Certainly initially the offer that was tabled implied an acceptance of a kind of stalemate in the war where each side would keep its conquests, so called uti possidetis. But what did that mean and how was there to be equivalency? Hawkesbury apparently felt this meant that Britain would keep her colonial conquests and France her continental position & Egypt; accordingly he even went so as far as to recall Pitt's expedition on its way to fight the French in Egypt. The recall failed to catch Abercromby in time. At this point Napoleon's hopes of victory over Britain were still intact and so there was no reason to accept this offer. Therefore the instructions to Otto were to temporise and argue the imbalance of the transaction. If Britain had conquered India and all the colonies of France, Spain, and Holland, how was France to be content with Egypt? Thereby Addington and Hawkesbury countered by offering to exchange Britain's conquests except Malta, Ceylon, Trinidad, Martinque and the Cape for the return of Egypt to Turkey - part way to the status quo. However no agreement short of a British capitulation was likely at this point. Then the next month saw the assassination of Tsar Paul and Nelson at Copenhagen, thus precipitating the end of the Baltic League. The weight of advantage was no longer solely with Napoleon but from here on, whether by design or by the fruition of schemes already commenced, it was he who bluffed his cards out better than Addington. With his stand for peace already made and with his initial proposals rebuffed Addington was obliged to offer fresh concessions, even though in reality his position was growing stronger by the week as the Baltic League disintegrated and the army and navy made progress against the French in Egypt. Meanwhile Napoleon maintained the now illusionary pressure upon Britain to encourage further concessions. Britain's last continental ally was Portugal and in April and May under the terms of the treaty of San Ildefonso, French and Spanish troops invaded in what was known as the War of the Oranges. Britain refused to help her ally and counselled Portugal to make peace before it was too late. This was less honourable but was probably the practical course, and fortuitously Godoy (the power behind the Spanish throne), was also inclined to an early settlement. The Peace of Badajoz was agreed in June whereby Portugal closed her ports to Britain and made concessions to both France and Spain, but avoided occupation by France with all that entailed. In all likelihood Portugal also avoided a compensatory seizure of Brazil by Britain. To further exclude British trade from the continent Napoleon sent troops into Naples and sent troops to seize Elba from the British. Napoleon also cleverly exaggerated his readiness to invade Britain. In reality he had lost the naval capacity and his transport barges existed mainly on paper. Nevertheless preparations and organisation of his forces were continued. For example, on the 12th of July an ordinance was issued to divide the invasion force into nine divisions and to transfer all the artillery personnel of the Rhine and Maine to the invasion army. Addington at least took the threat seriously. Thus everywhere the French seemed to be on the offensive suggesting time was not on Addington's side. Not everyone was convinced - even after his abortive attack of the 4th of August on the French invasion flotilla in Boulogne, Nelson wrote, "The craft which I have seen, I do not think it possible to row to England; and sail they cannot." Meanwhile the expeditionary force to Egypt was making slow but steady progress. The landing had occurred on the 7th of March, had defeated Menou and the French army on the 21st , captured Cairo on the 27th of June and invested the remainder of the French in Alexandria. For Napoleon the meaning was clear; if Egypt was his main bargaining point the time left to play it was rapidly diminishing. Late in July Napoleon offered new terms that were stunningly the virtual opposite of those that Hawkesbury had started with, namely that the basis of the peace would now be complete restoration of all conquests to their original owners - that is status quo, excepting of course those on the continent. But the various concessions that already been made by Hawkesbury meant it was no longer a full about face. Napoleon generously conceded that formally Dutch Ceylon would remain in British hands and the Cape would remain open to international traffic. Effectively the price of peace offered by Napoleon was for France to exchange Egypt which was all but lost already, for virtually all of Britain conquests and remain silent on Britain's other interests. An unequal bargain it may have been, but so much for Addington who was committed to peace. Hawkesbury's only demand in reply was the retention of Trinidad from Holland in addition to Ceylon although he did demand that Malta be garrisoned by a great power once Britain relinquished it. Addington too was pressed for time but due to internal causes rather than a declining negotiating position. His government needed to introduce a new budget and it had to be decided whether this was to be a peace or a war budget. Addington had staked out his government's policy for peace believing that Britain's return to prosperity depended positively on achieving peace. Therefore he dearly wanted to cut expenditures and taxation but dare not unless peace was certain. On the 17th of September Napoleon received word that the fall of Alexandria was imminent. Otto was told to issue an ultimatum to Hawkesbury - unless peace was concluded by the 2nd of October the French would break off negotiations. That is to say Napoleon was desperate to conclude peace before word could reach Britain that his Egyptian trump was lost, but he turned his very weakness into strength by using it as a bludgeon, a tactic that served him equally well on the field. It lasted until his opponents became wise to the method, both in the drawing room and in battle! The bluff succeeded and Hawkesbury signed the Preliminary Treaty of London on the night of the 1st of October 1801. The terms were for Britain to return all colonies as described above, and to withdraw from Malta and the other Mediterranean ports that she had occupied. France would restore Egypt, withdraw from Naples and Switzerland and guarantee Portugal. The very next day word arrived the garrison of Alexandria had opened negotiations for surrender. It hardly mattered in the face of the rapturous reception that the news of peace received on both sides of the channel. When Napoleon's ratification of the Hawkesbury-Otto agreement reached London the crowds spontaneously took the horses from General Lauriston's carriage and pulled it by hand to Downing Street such was their enthusiasm. On the 22nd of October 1801 the blockade was lifted and Europe was finally at peace once more. Not everyone in England was as pleased. The King later after the definitive peace settlement was signed, called it an "experimental peace". Pitt's old cabinet were even less enthusiastic, damning the concessions at the same time fearing for the future. Questions on the status of the émigrés had been ignored, and there were doubts about the guarantees for Portugal, Turkey and Naples. But with Pitt solidly standing behind Addington and speaking in the commons in favour of the peace there was nothing they could do. The opposition led by Fox had never supported the war in the first place and so readily embraced peace only blaming the government for not making it earlier. There was no vote taken in the Commons and in the Lords only 10 voted against compared to 114 for. Therefore peace it was, and 11 October Addington passed his budget. We can be absolutely certain that Britain genuinely expected a lasting settlement because the budget completely undermined Britain's economic war footing. Pitt's income tax was abolished (it was universally understood that this would be part of the dividend of peace), naval expenditures were reduced by 2 million pounds and naval construction suspended. Within a few months the number of ships of the Line was reduced from over 100 to less than 40, the volunteers were disbanded and the army halved. A few days after the agreement on 8 October Napoleon also came to terms with the new Tsar Alexander. France conceded all that had been given to Paul but this time without any reciprocal support. Among the things this agreement stipulated was that Naples would be evacuated and the door was opened to Russian mediation with the Sultan over the question of Egypt. In short Napoleon appeared to concede everything the Tsar demanded but in reality he only offered the Tsar an empty hand that he had already given away to Hawkesbury. But an important consideration; his agreement with Russia was secret lest Britain discover that he was tied to his concessions by other commitments and thus weakening his position. However although Europe was now at peace the agreement worked out between Hawkesbury and Otto had been quite properly nothing more than the basis for an armistice. There was much to work out before a formal peace treaty could be concluded. Since the agreement had disposed of Spain and Holland's former colonies as well as France's, these two countries would have to be involved. With the Batavian and Cisalpine republics now evidently a fact of life (although Napoleon had given assurances of the Batavian Republic's independence) there was the question of compensation for Britain's erstwhile allies the Prince of Orange and the King of Sardinia. There were the mechanics of returning Malta to the Knights of St John and its great power guarantee to be worked out. Finally a matter dear to Britain's heart there was the question of reopening commercial ties. The negotiations for the final peace settlement were to take place at Amiens in France unlike the initial agreement which had been negotiated in London. This brought about a profound change in the nature of the diplomacy. While Otto had been passing on Napoleon's instructions direct to Hawkesbury and by extension to the British government; at Amiens Britain too would have to appoint an agent who would by necessity have to act on his own cognisance for long stretches at a time. The nature of a conference although it was to be in France, meant that Napoleon would also have to appoint a delegate. A hundred miles north west of Paris his communications were shorter; but still meant the French delegate would have personal influence on proceedings rather than simply being Napoleons mouthpiece. would to God that we had peace almost on any terms, for it is evident that we cannot make war." Napoleon's delegate was his brother Joseph who had some experience in treaty negotiations. 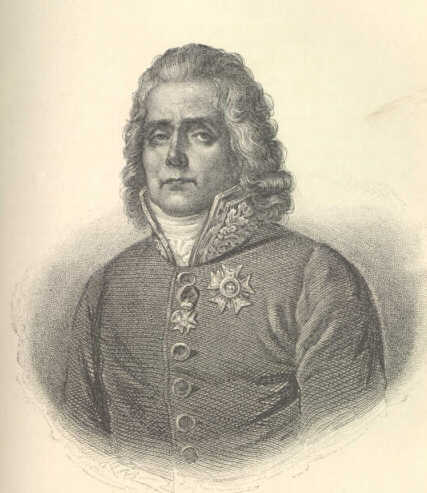 He had negotiated the Treaty of Luneville on his brother's behalf, but as before, the degree that he was able to influence matters must always be mitigated by the presumptive actions of Napoleon and by the machinations of Talleyrand. Before the peace conference moved to Amiens to sit down with the Spanish and Dutch representatives Napoleon invited Cornwallis to Paris for the "festival of peace." Cornwallis set out on the 3rd of November. The festival on the 9th included illuminations and fireworks and a state dinner at Tuilleries. As a mark of honour Cornwallis's carriage was the only one allowed on the streets of Paris. The negotiations began with two brief audiences Cornwallis had with Napoleon in Paris. The First Consul was warm and positive about the peace but proved uncompromising and not at all conciliatory. Already Britain was wanting to change the initial agreement but perhaps with an element of utilitarianism about it. The planters of Tobago themselves were petitioning cabinet against return to French rule. As Tobago nicely complimented the acquisition of Trinidad a formula had been concocted that would accomplish this: namely that Britain would retain Tobago and compensate France by the cancellation of the debt for the maintenance of French prisoners during the war. Napoleon was outraged and furthermore denied any obligation for the maintenance of prisoners of war. Since none other than Pitt had defended the treaty in the commons by proclaiming the value of Trinidad as a war gain, it is little wonder that Napoleon was mortified by this inequitable offer. But all the same Cornwallis was already finding Napoleon and Talleyrand intractable, obstinate and double-dealing. In December the negotiations moved to Amiens and Joseph took over as French negotiator. Joseph had a reputation for honesty and moderation but Cornwallis found him inconsistent and shifty. " after I have obtained his acquiescence on any point, I can have no confidence that it is finally settled and that he will not recede from it in our next conversation" . Perhaps this in some way reflected the communications and instructions that Joseph was receiving. Cornwallis cannot have been any easier to deal with. He was apparently sleepy and lacking in alertness, and his slow protracted means of doing business drew complaints. For all these difficulties the two chief negotiators had a will and genuine desire to reach agreement and complete the peace settlement between their respective countries. Given that the basis of peace had largely been the fait accompli of France's redrawing of the European map it would have been naive to expect Napoleon to release his grip on the daughter Batavian, Helvetic and Cisalpine Republics before they could stand on their own feet. Nevertheless here lies the crux of the peace problem. If France was expected to continue to prop up and tinker with these Republics she certainly wasn't expected to actually improve her own position regarding them. It had perhaps never occurred to anyone that a stipulation of the peace settlement with Britain needed to be that Napoleon would abide by his previous peace settlements. Surely if that needed to be said then it called into question the integrity of the current settlement also. But Napoleon continued to improve his continental position in violation of the Treaty of Luneville, which had guaranteed the independence of Italy, Holland and Switzerland. This greatly antagonised Britain. If there were already criticisms at the generosity of the armistice to France, how much more unequal did it become when the gains that Britain had only grudgingly been prepared to cede Napoleon on the continent were growing month by month? For Napoleon there was at least a measure of consolidation as opposed to imperialism in these policies. From July when the agreement in London was reached, there had been moves to establish a new government for the Cisalpine republic and from the 29th of December 1801 there had been a meeting of deputies in Lyon to settle this question. Napoleon joined the meeting from the 11th of January and a series of candidates were considered for the presidency. The first of these was Joseph right then in the midst of negotiations at Amiens. He refused, apparently because it did not satisfy his ambitions, but perhaps he saw the incompatibility with his current position. Other candidates were considered and refused before on 24th of January Napoleon was offered the position and accepted, thereby ending any pretence of independence for the fledgling republic. Two days later Napoleon changed the name to the Italian Republic, with alarming implications for the future. Similarly the process of establishing non-revolutionary French influenced governments proceeded with difficulty in Holland and Switzerland. Before discussions properly got underway Cornwallis was faced with a fresh diplomatic offensive, which he resisted only with great difficulty. In December he was presented with proposals claiming extended fishing rights off Newfoundland, British restoration of the French defences of Pondicherry and free trade in India, a station in the Falkland Islands, substituting weak Naples as the guaranteeing occupier of Malta and omitting all reference to Dutch and Spanish recognition of the cession of Trinidad and Ceylon. These terms would have been a revision of the London agreement and were rejected. At the same time Napoleon refused to discuss a commercial agreement or to allow questions on Germany, Italy or Switzerland to be entered into. As far as Napoleon was concerned these were outside of the London stipulations and were being negotiated and settled in different venues. All this was viewed by Cornwallis and Hawkesbury as enough breach of faith to doubt the sincerity of Napoleon. However Britain was politically committed to peace and mere breach of faith was insufficient in itself to justify renewal of the war. If the negotiations had broken down it is likely Addington's government would have fallen to be replaced by one that could make peace (namely the Whig party led by the pro-revolutionary Fox). Until Britain had agreed the preliminaries Napoleon refused to omit the Spanish representative Azara, or the Dutch, Schimmelpennick. This divide and rule diplomacy gave Napoleon a great deal more weight in reaching decisions than he would have had if other interests, such as the Dutch who were losing their colonies, had been able to unite with Cornwallis against him. Even then discussions did not proceed smoothly. Napoleon wanted British recognition for the three new republics, but Britain required quid pro quo that some concessions be made to the King of Sardinia who had lost Savoy and whom had Piedmont occupied as a military province of France. Both parties refused the other's demand and Napoleon replied with the thinly veiled threat that it would be her own fault if Britain's commerce suffered and if any of these territories chose to incorporate itself with a 'major continental power'. Cornwallis had also held out on compensation for the Prince of Orange but in the face of Napoleons policy of dealing with this in Berlin, the Prince departed England for the venue where his interests could be discussed. Then there was the question of Malta. The guarantee of a single great power was first abandoned for the collective guarantee of Malta's independence from all six: Britain, France, Spain, Austria, Russia and Prussia. This, despite the absence of the last three from the negotiations. British forces were to be withdrawn within three months, the fortification were to be left intact and for the next year Malta was after all to be garrisoned by Naples from which Napoleon was agreeing to pull his troops out of. Following this the reconstituted Knights of St John would again hold the island. This was the final shape of the Treaty of Amiens. By March Addington and Hawkesbury were pressed for a conclusion. On the 14th of March they encapsulated the terms as they stood then in a draft treaty and instructed Cornwallis to obtain final acceptance or rejection within eight days, and if not, to leave France. Cornwallis held on into the eleventh day, the 25th of March 1801, when at three in the morning after a five-hour session the Treaty of Amiens was signed by himself, Joseph, Schimmelpennick and Azara. The news arrived in London on the 29th in the hands of Mr Moore, Assistant secretary to Cornwallis's mission . There was intense relief and the populace now gratefully looked forward to falling prices and rising prosperity. Much goodwill had been lost and many were fatalistic or suspicious but peace had been achieved. At first the peace settlement seemed to have reasonable prospects for success. The misgivings and the ill will engendered during the negotiations had affected mainly those architects of the treaty who were most obligated to defend it. Peace was formally proclaimed in London on the 29th of April and the celebrations included illuminations of M. Otto's house as well as the Bank of England and various public buildings. But already the business of peace and consolidation was underway on both sides of the channel. In Britain the budget was presented on the 5th of April and elections were held in June much strengthening Addington's erstwhile weak administration. In France the political consolidation was even more profound. For three months from the 11th of May the nation demonstrated its gratitude to the bearer of peace in a plebiscite by all but unanimously voting Napoleon Bonaparte consul for life. The curious and the fans of the revolution flocked across the channel to ogle the new treasures in the Louvre and to glimpse the great man himself. Many were dazzled but for others, although their idealism had been sustained through long years of war, seeing things first hand brought a new sense of reality. Fox himself visited Paris in September and had two interviews with the First Consul. He evidently remained convinced of Napoleon's sincerity for peace but disagreed with him over freedom of the press and the militarism of society. Ideologically these visitors were disillusioned to discover that though lip service was still paid to the concept of Liberté Frenchmen no longer desired it, and further, how poor a contrast was drawn to their own freedoms. Others were shocked at the morality of post revolutionary society where in their view every vice was on open display and the social order had collapsed. On the 20th of May slavery was reinstated by the Senate, and on the 7th of June Toussaint L'Overture was arrested. Liberty, equality and Fraternity had received the death knell and it was no longer possible for Britons to believe in the French revolution. Politicians like Grey, political heir of Fox, and poets like Wordsworth and Coleridge all turned away from their identification with the revolution at this time. If there was to be war again even Fox was ready to see the practicality, if not yet the necessity. Faced with these problems, Hawkesbury's remark in May 1802, that there is a "need to re-establish commercial relations to win greater support for peace" was prophetic. Before the rigours of the continental system trade regulation was a somewhat leaky sieve. Nevertheless a ban on English commerce had been tried under the Directory and Napoleon did not repeal the measures. Neither did he remove the sequestrations on British property as specifically required by article XIV of the treaty. In the first months of the peace British exports did grow despite the fall in world prices and the wind down in demand. But prosperity was not in line with expectations, nor was there any prospect of a revival of the 1786 agreement that had opened the French textile industry up to the harsh realities of competition with British producers. But here at least was one area of French policy where the monolithic presence of Napoleonic will is not quite so in evidence, for economics was not an area where Napoleon had clear ideas. There was pressure from manufacturers demanding protection but at the same time others called for a regulated trade whereby in exchange for limited concessions the British market would be opened up to French silk and wines. Napoleon leaned towards protectionism to stimulate French trade and on the 19th of May increased tariffs and taxed colonial products from British colonies 50% higher than those from French colonies. In Britain the telling observation was made that France had been careful to ensure advantageous commercial footing in the separate peace agreements she had made with Russia, Portugal and Turkey, but had denied the same to Britain. These bans on British commerce would hardly endear consulate France to a nation of shopkeepers and the situation only grew worst as territorial and political consolidation increased the coastline from which Britons were denied trade. Both the main parties to the Treaty of Amiens had begun the troop withdrawals to the timetable stipulated in the Treaty of Amiens. European territories (except Malta for which there were special conditions) were to be evacuated within one month and France dutifully pulled out of Naples. In June French troops withdrew from Switzerland and troops numbers were reduced in Holland (The Stadtholder having renounced his claims on the 24th of May thereby removing any rival claim to government) as required by the Treaty of Luneville. However the complaisant Swiss government proved too weak and there was a rising against it on the 27th of August. In September Ney was sent in with 30,000 troops to restore order and a new constitution had to be established eventually in February 1803. This provoked a crisis in relations as the rebel Swiss requested aid from a sympathetic Britain. Hawkesbury sounded out Austria without success, an agent was despatched to offer arms and money, the evacuation of the colonies to be returned was delayed and parliament authorised balloting 50,000 militia. However there was effectively nothing Britain could do and once the crisis passed the evacuation of the returned colonies was resumed. This was yet another turn of the screw undoing any vestige of Anglo sympathy for the French cause and for the peace of Amiens. In the midst of the Swiss crisis in August France annexed Elba, September saw Piedmont annexed and in October Parma was occupied. 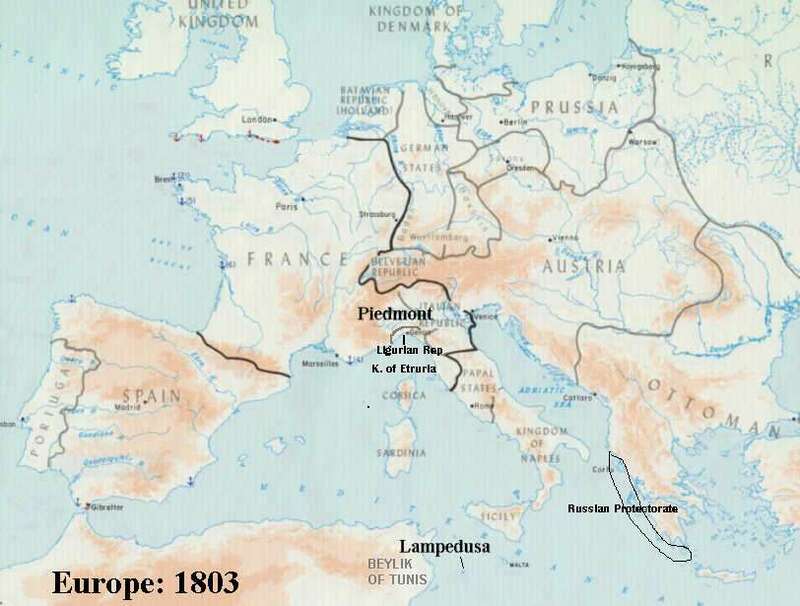 Control of Elba and Parma were sanctioned by the recently (January 1802) revealed Treaty of Madrid with Spain, and were part of a general Italian settlement which had swapped a number of territories between Spanish, Austrian, French and Neapolitan interests . Piedmont had been governed as a French military district for years. To integrate these territories into the national patrimony was going beyond the cherished natural frontiers, and at such a critical juncture! This was flying in the face of all reason. Attitudes in Britain had hardened but all was not yet lost. Enough was enough. Since the preliminary treaty there had been nothing but an unreciprocated series of French advances. It was politically impossible to let this continue any longer. Here lies the one hope that peace could still last: If Napoleon offered conciliatory signals at this time or if Britain could save face through some unequivocal triumph, preferably over France, then well and good. Otherwise Britain was no longer to be trifled with. So much for the British view. Could Napoleon appreciate all this? Everything he had done had hitherto met with success. Every diplomatic hurdle had tumbled at his approach. Why should anything have suddenly changed? After all from the French perspective there hadn't truly been any material changes. To reassert herself in her former colonies (St Domingo) was implicit in the agreement, the control of the Batavian, Helvetic and Cisalpine republics had not changed since before Luneville, and the annexation of Elba, Parma and Peidmont were merely legal verification of what had already transpired albeit by an agreement still secret at the time of Amiens. France was not in breach of her treaty obligations, this had simply been a period of consolidation. In the context of where Napoleon was otherwise engaged it is possible he really did consider these advances nothing more than solidification of an existing situation. These were the years where Napoleon's civic creativity is seen at it's best. He was engaged in more than a consolidation of position, rather more in the creation of a whole new state. Everything he was doing was an innovation and each object in turn achieved birth only through the creative genius and driving will of the first consul. If every sector of French life was being transformed why shouldn't her foreign relations be likewise tidied and improved? But even if there was no aggressive intent on Frances part and Napoleon really was only riding the crest of a reform wave that lapped onto neighbouring states; should that have made any difference to Britain's reaction? From roughly October 1802 the tone was thus set for the remaining eight months of peace. On the one hand an unequivocal desire to get ones own back and on the other an aggrieved hurt over why the other should suddenly become so unreasonable. The period of French diplomatic triumph and incremental advancement was over. From this point until the rupture in June 1803 it was Britain that called the tune. The rhythm was constantly to avoid direct confrontation over critical issues thereby forcing Napoleon to react, of escalating grievances without ever quantifying demands for redress and of unrelenting firmness of position in the face of an increasingly frustrated and infuriated First Consul. In this it would be true to say that it was Britain which embarked on the course that inevitably led to war. It would be equally false to say that this outcome was premeditated. On the contrary there were genuine pacific actions along the way. It again be false to claim that there was a master plan mapped out ahead. But there was now deliberate effort to pressurise France, albeit with the expectation of forcing concessions rather than war. The critical issue was once more to be Malta. Under the terms of the definitive treaty Malta was to be handed to the Knights of St John who were to return to the island and elect a new Grand Master. Britain and France were both to proscribe membership of the order among their own nationals to ensure neither could influence the destiny of Malta via the order. The Knights and the citizens of Malta were to govern and garrison the island as a free port. In the meantime Britain was to evacuate within 3 months of the ratification of the definitive treaty to be replaced by a caretaker garrison of 2000 Neapolitan troops. The protection and guarantee of Malta's independence was required from all six powers — Britain, France, Austria, Spain, Russia, and Prussia. However virtually none of this ever occurred. None of the other powers ever offered their guarantee (although Russia toyed with the idea); Britain never withdrew her garrison, and when Naples sent the temporary garrison there were denied admission to the fortresses. The nominated Grandmaster could not be persuaded to accede until March when it was already too late, and the Knights of St John were insolvent and unable to govern the island in any case. Their problem was that the annual expenses of the Malta (principally maintaining the defences) were 130,000 l while the total revenues of the Island from customs etc were only 34,000 l of which only 8000 l was in the hands of the knights. Previously the order had depended on revenues of 58,000 l from French assets and 27,000 l from Spain but these revenues were now confiscated by France and her ally Spain leaving the order with only 20,000 l.
Against this background two critical players entered the field at the end of 1802. 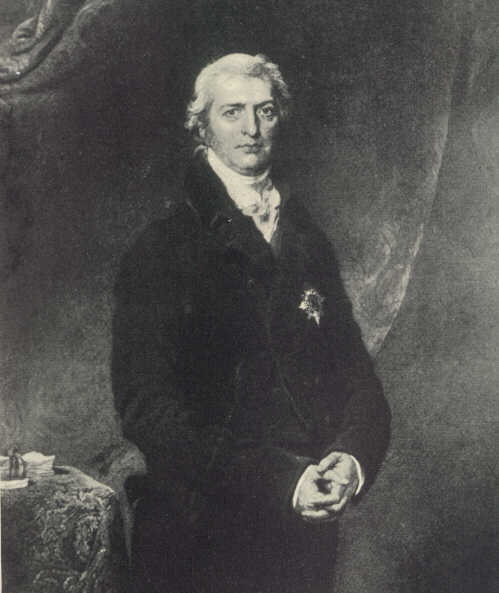 Castlereagh joined the British government in October and immediately brought a measure of imperial vision and metal to foreign policy that had previously been lacking. The other figure was the career diplomat par excellence Lord Whitworth. Whitworth had previously been ambassador to Russia under Tsar Paul when he had proved his analytical skill and diplomatic dexterity in hostile territory. Whitworth was appointed as ambassador to France in April but it was not until November that he departed for Paris. At the same time Napoleon replaced the conciliatory M. Otto with General Andreossy. It was in Whitworth's hands and in Paris where the final diplomatic duel was to be principally fought. Whitworth landed in Calais 10 November to be met, "
by an immense concourse of people, and with much hazzaing. The guns were fired, and flags displayed on the church steeples, etc." Thus proving that the French people at least still clung happily to the peace. However his instruction from Hawkesbury spoke very directly. " the circumstances which led to the conclusion of the last peace, and the principles upon which the negotiations were conducted, would give his Majesty a special right to interpose in any case which might lead to the extension of the power or influence of France." By this Hawkesbury frames the first stand on principle - that the basis of the peace was on compensatory acquisitions. Namely that Britain had been compensated for the improved French position on the continent by Ceylon and Trinidad, therefore meaning that the basis of peace had been territorial position as agreed in the Treaty. Therefore in the face of changed circumstance Britain was justified in claiming further counterpoise. However Whitworth was to specifically avoid any definitive statement as to what actions Britain might take in this respect, especially regarding the future of Malta. Whitworth's analysis of the French position was crucial. Firstly he believed that the French consular government was dependent on peace to maintain its position with the people. Secondly that France was virtually bankrupt and not only couldn't afford war but that the expense of colonial endeavours would continue to weaken her. The British also correctly identified the alarm with which USA viewed possible French expansion into the North American continent. Therefore Whitworth could only look with delight on each new expedition to reinforce St Domingo or which was intended for Louisiana. There was a firm belief that Napoleon had not given up hopes of retaking Egypt. Quite apart from North America there can be little doubt that Napoleon harboured great ambitions for overseas expansion at this time. A great deal had been invested in St Domingo. In January 1803 Decaen was appointed to go to India (departed March), expeditions for who knows where were outfitting in Dunkirk and Toulon, the army of Egypt then residing in Italy retained its name, there was a flurry of diplomatic activity vis a vis the Bey of Algiers but most of all there were the so called commercial agents. In August 1802 General Sebastiani had toured North Africa, Egypt and Syria to return suddenly to Paris on the 27th of January, then on the 30th of January his report was published in the Monitor. Even before publication Whitworth was alarmed that Napoleons diplomatic overtures to the Turks might presage an alliance against the Mamalukes. The report confirmed all fears in that it contained references such as how easily Egypt could be reconquered with six thousand men, but Whitworth's dispatches are far and away more concerned with denigration of General Stuart and the British army (which was just then departing Egypt 4 months later than required by Amiens). This lends credence to the alternative explanation that Napoleon's intention was to contribute to the propaganda battle. On the 18th of January the Times had published Robert Wilson's History of the British Expedition to Egypt, which had been condemning of Napoleon. Notwithstanding this explanation for the actual publication, it would not discount ambitions towards Egypt and it was an ill considered action given British suspicions. In fact Napoleon later personally confirmed to Whitworth his persistent hopes for Egypt by stating that sooner or later Egypt would belong to France either by agreement with the Turks or though collapse of their empire. A Maltese naval base had proved the best bulwark against a French descent on Egypt - Britain was hardly going to give up Malta now! Napoleon's grievances against Britain were primarily the retention of Malta but also the scurrilous attacks emanating from the émigré and belligerent free press in Britain. There was some recognition on this issue from Addington who in February prosecuted the émigré Peltier for libelling the first consul. The trial resulted in conviction without penalty. Whitworth started receiving copies of English papers with markings highlighting particularly offensive references and he believed it was Napoleon personally who was forwarding these. On the 3rd of March he wrote to Hawkesbury expressing fears that liberty of the press might well be imperiling any chance of Napoleon making concessions to the demands that Britain was now making. Initially both parties had refrained from specifically raising the question of Malta for fear of the answer it might provoke. Finally in January Talleyrand had Azzara the Spanish Ambassador sound out Whitworth only to receive the reply that Britain was awaiting compliance with the conditions under which Malta would be evacuated. By February Hawkesbury and Whitworth had become convinced that only retention of Malta secured peace by protecting Egypt and the doctrine of right to compensation for French gains had hardened. Talleyrand at Napoleon's behest assured Whitworth of the Consul's pacific intend and queried what satisfaction Britain would require in order to fulfill the treaty obligations and Whitworth toyed with the idea of a combined British, Russian and French guarantee of the integrity of the Turkish empire. At the same time both parties attempted to angle for Russian and Prussian support for their views. The next step was for Napoleon to supersede the normal oblique means of diplomacy to summon Whitworth for the private interview recounted above. The two men sat face to face across a table and for two hours Napoleon attempted to forcefully but in good humour persuade Whitworth to his point of view. Far from achieving it's purpose this whole interview, it's tone and foul language struck Whitworth, the career diplomatist, as the manifestation of weakness. By March both sides were talking of the possibility of war over Malta. France had never disarmed but further military preparations for St Domingo (or wherever) were in evidence. There was talk in England that French commercial agents had surveyed British and Irish harbours and defences. Following the King's address to parliament on the 6th of March, Britain began a partial rearmament by embodying the militia and voting an extra 10,000 men for the navy. In response to this on the 13th of March there occurred a famous scene: At a Sunday afternoon drawing room review in front of 200 other guests Napoleon either staged or actually lost his temper and made a scene. In a voice that everyone in the room could hear he raged, "So you are determined to go to war." Whitworth was stunned at this impropriety and did not know how best to reply. Napoleon then stormed off to complain further of British warmongering to the Spanish and Russian ambassadors before returning for another go at Whitworth. The incident had no real impact. However it did reinforce Whitworths belief that the main obstacle to maintaining peace was the first consul's temper and obstinacy. Britain was by now saying plainly that Malta would not be evacuated without some concession on France's part. Whitworth could threaten 'Malta or war' because he believed Napoleon was so determined over Malta that he would offer concessions to obtain this object. One such concession would have been the abandonment of Louisiana, and Victor's expedition that was now ready in Holland was put on hold. On the 13th of April Monroe arrived from the United States to negotiate the Louisiana purchase. The transaction was completed on the 3rd of May and thus Napoleon gives evidence that his hopes for overseas expansion were gone. The purchase price of $15m (Spanish Dollars) USA 15 years bonds, (less nearly a third deducted by USA for economic damages) was immediately on sold to Dutch and ironically to British bankers at 87.5% raising $8.8m for the coming war. This was a virtual a fire-sale! In the beginning of April Talleyrand visited Whitworth to explore every and any option that might induce Britain to abandon Malta — what guarantees? Was there any acceptable alternative garrison? Were there any alternate naval bases? Out of this came two fresh ideas — that Britain might accept a term lease of about 10 years over Malta, and that the Island of Lampedusa south of Malta (to be ceded by Naples!) might serve as an alternative British naval base. There was a flurry of activity as both Talleyrand and Joseph visited Whitworth to assure him that everyone was desirous of peace and that only Napoleons intransigence stood in the way. This smacked of disloyalty but throughout this whole period, whether it was divergence of opinion or simply strategy, Talleyrand and Joseph were both to take this soft line. Constantly they were to admit that they saw some justice in Britain's complaints and position but that they were powerless to persuade Napoleon. Such an argument raises an interesting point. It has been suggested in a number of modern sources that Hawkesbury and Whitworth considered offering bribes to Talleyrand and Joseph in order to persuade them to shift the First Consuls mind. The bribes were never offered, but was the question ever raised given that Talleyrand and Joseph were doing everything in their power to achieve this aim anyway? Most of the French navy was currently in the West Indies while more ships were under construction. Therefore the advantage was with Britain to push the matter. Now Britain framed things as if anything less than full possession of Malta was a concession on their part. On April the 23rd Hawkesbury wrote to Whitworth with the basis for an ultimatum. Malta was to be held for not less than ten years, Naples to be persuaded to cede Lampedusa, and also Holland to be evacuated, and that recognition for the Italian states would ensue only if arrangements for Switzerland and the King of Sardinia were reached. Initially Napoleon and Talleyrand tried to play the British game by never raising the ultimatum for negotiation but when Whitworth pressed matters Talleyrand stalled by insisting it wasn't an ultimatum unless in writing. The possibility of a counter proposal was intimated by Talleyrand but again there was delay in its arrival so Whitworth was induced to wait. Whitworth asked for his passports on the 2nd of May (this was necessary in order to obtain post horses). Talleyrand responded that in any case Napoleon would not recall his ambassador. The passports were not forth coming and there were delays and troubles contacting Talleyrand, Joseph, and Napoleon; as well as delay with the long awaited counter proposals. The die was already cast and these desperate measures over the last weeks (although a story in themselves) could not change things. Suffice to say that Hawkesbury offered a final modification of the British terms whereby the possession of Malta for not less than 10 years would be by secret agreement to save face for France. On the 11th of May in a council at St Cloud Napoleon met with seven councillors. Only Joseph and Talleyrand voted for peace. Whitworth left Paris the next evening. He received full honours and 13 guns on his departure form Calais but war was a certainty within days. Both sides could draw some satisfaction from the period of peace. Napoleon could portray Britain as the aggressor and this was sufficient to bring the people behind him and to secure the Imperial title. Britain would enter the new war far more united in purpose than the previous had finished. Thus the experience of peace had been a unifying force on both sides of the channel. The drastic result of this was to herald a new era in warfare. This polarisation of attitude made total war the only possibility where total victory or defeat was virtually the only possible outcome. Then and now it is generally agreed that Britain did not do well out of the peace settlement. Evidently this did little harm to one of the chief player's subsequent career, since Lord Hawkesbury, (Lord Liverpool as he became), went on to become Prime Minister later in the war. His reputation was somewhat redeemed by a vigorous and capable defence of the peace in the commons and by his firmness during the rupture period. I was planning to devote myself exclusively to the administration of France and I believe that I could have worked wonders. I might have achieved the moral conquest of Egypt, just as I have been on the verge of accomplishing it by arms." We can accept this statement of domestic ambition with some caution given that it already contains a proviso for foreign adventures. Certainly Napoleon viewed peace as being in the wider interests of France but in no way did he ever limit France's interests to even her 'natural' frontiers. Napoleon had mastered the use of force to exploit opportunities. In making peace his judicious use of forceful diplomacy had achieved a fabulous result. However under a condition of peace he needed to adopt a more conciliatory approach. Had the annexation of Piedmont been accompanied by a commercial treaty with Britain, or if the reoccupation of Switzerland been matched by an evacuation of Holland things might have been different. What would have been the result if Britain had been granted the 10 year lease of Malta in compensation for French continental gains? Napoleon had not learnt that strength of purpose wins over enemies in time of conflict, but strength of ambition makes enemies during peace time. This deficiency was the fatal legacy of the revolution and Napoleon's share of the blame for the failure of the Peace of Amiens. However the peace must be put into context. It was never imagined to be a permanent peace. Such a thing was alien to the 19th Century way of thinking. A peace treaty was nothing more than an agreement of position. Napoleon is reputed to have rhetorically asked a member of the council of state, "Do the signatures of the great powers make them any less our foes?" Hawkesbury in his defence of the treaty in the commons stated, "That should we have to renew our contest with France in the course of 8 or 10 years; we must commence it with greater advantages that we did the last war!" Therefore neither party had any illusions about the lasting nature of peace and international friendship. This did not make the Amiens agreement a failure. It should have been an agreement of disengagement which freed both parties to pursue their independent ambitions, but Napoleonic aggrandisement made this impossible. Britain had almost drifted into peace by accident. When defeat had seemed likely she had been forced to open negotiations. Then a 'sort of victory' had meant that it seemed like a war won. A new government had come in without the vision for continuing the war due to the pacification of Europe, and the heavy-weights of the previous administration had largely fallen in behind the peacemaking for domestic reasons. In this sense it may have been an accidental peace but real interests were still at stake. If these could be satisfied then peace might last. If Britain is accused of precipitating the renewal of conflict, her best defence is that just as the peace itself was built on the foundations of the series of settlements and events that ended the revolutionary wars, so too did it's continuation depend on the steadiness of those foundations. Britain had come to accept changes in her areas of vital interest (such as Holland) that had never been contemplated in any previous era. However, enough was enough. What then is the significance of Amiens? It was not just a gasp for breath from two exhausted belligerents, nor a sham peace treaty, nor a part of any premeditated strategy. This interval of peace determined that when the conflict resumed, that it became a fight to the death. A Note of Thanks: I would like to thank Allan Cole, Tom Holmberg and Rory Muir for their assistance and various times while I was working on this. Browning, Oscar. England and Napoleon in 1803: Despatches of Lord Whitworth and others. London: Longmans; 1887. Bryant, Arthur. The Years of Endurance 1793-1802 London: Collins; 1975. Bryant, Arthur. The Years of Victory 1802-1812 London : Collins; 1951. Cronin, Vincent. Napoleon London: Harper Collins; 1994. Gash, Norman. Lord Liverpool London: Weidenfeld and Nicholson; 1984. Geyl, Pieter. Napoleon: For and Against England & Australia: Penguin; 1965. Lefebvre, Georges. Napoleon: from 18 Brumaire to Tilsit, 1799-1807 Translated from the French by Henry F. Stockhold. London: Routledge & K. Paul; 1969. Presseisen, Ernst L. Amiens and Munich : Comparisons in Appeasement The Hague: Martinus Nijhoff; 1978. Watson, J Steven Watson. The Reign of George III 1760- 1815 Oxford: Oxford University Press. 1960.